As Riyadh and Dubai prepare for their Arab Fashion Week shows in October and November respectively, the focus of the global fashion sector is turning to the environment, and the industry’s impact and role in protecting our future. The fashion industry has a disturbingly large ecological footprint. Firstly it is incredibly wasteful; it takes 10–20,000 liters of water to produce 1kg of cotton (enough for a pair of jeans and a shirt) and more than 75% of clothes go to landfill. Worldwide consumption is increasing sharply with production doubling between 2000 and 2014. Adding to the waste problem is the pollution. Depending on which metric one uses, fashion falls just behind energy production and food as the most polluting industry. This is in part because the fashion industry has an immensely complex supply chain, which penetrates several other sectors (agriculture, transport, energy consumption). 20% of industrial water pollution is linked to the fashion sector and 0.5 billion tonnes of plastic microfibers are released from washed clothing annually. So far, so depressing. However, what makes this industry so damaging is also what gives it so much potential. Cleaning up fashion supply chains would have a huge effect on a myriad ecological “hotspots”. The impact would not just be environmental; there is a clear societal impact from more transparent, better-audited supply chains. 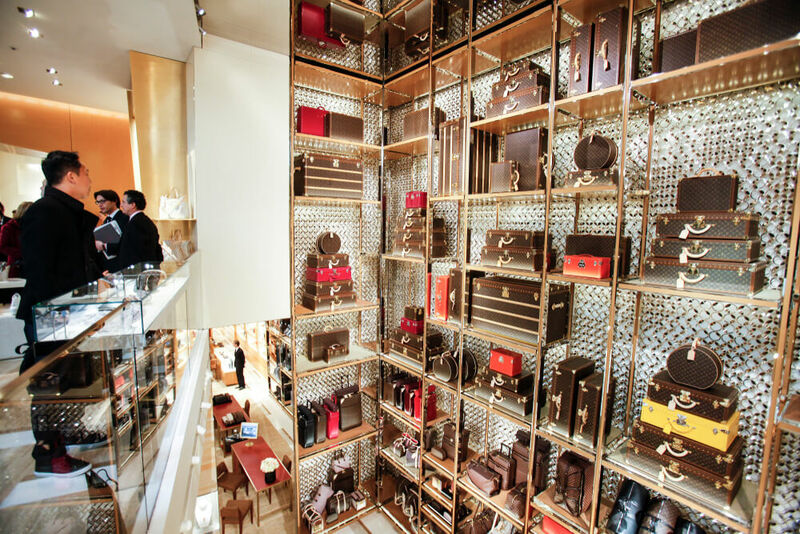 What role can the luxury sector play? It’s a tiny proportion of fashion by volume (5–10%), but it has the potential to make a disproportionately large contribution in the push for change. The leading names in luxury are not just trend-setters in a fashion sense, but they also set the framework and acceptable standards for the sector as a whole. This responsibility is arguably easier for the luxury names, with high margins, strong balance sheets, and in many cases, the long-termism that comes with family ownership – these businesses could pave the way (and in many cases are) for the high-street and discount end of the industry. The long-termism that tends to be associated with family ownership does sometimes come at a cost. Lack of board independence means that institutional shareholders can find it difficult to lobby for change if they feel there isn’t sufficient attention being paid to environmental and social issues. The “S” in ESG (Environmental, Social, and Governance) has been a more consistent area of positive change in recent years, with transparency and auditing of the supply chain being the focus. Both in terms of labor standards (wages, employee rights, and working conditions) and security of sourcing (supporting growers, insourcing, helping them to adapt to the more volatile conditions created by climate change), the larger brands have made significant shifts in their approach. Initiatives to tackle the environmental footprint have been more mixed, possibly because, to some extent, this goes against the ‘raison d’être’ of fashion – to sell clothes. The luxury brands would argue that their collections are designed to last – they are not part of the fast fashion movement. But the top-line growth of these businesses and the increasing frequency of new collections in stores would indicate otherwise. Headlines on some leading retailers burning millions of dollars’ worth of unsold clothes in order to maintain brand value make sensational reading and are sadly all too frequent. However, it’s not all bad; there is much material innovation that will hopefully result in fewer garments being fossil-fuel derived and there is a powerful initiative from the Global Fashion Association (signed by many big names) to encourage circular fashion. This should boost the currently tiny proportion of clothing that is recycled into new pieces. It is possible that this change comes from a need to please the target market for luxury products and the most ‘socially conscious’ cohort, the millennials. If this is the case, we need them to keep loudly voicing their demands and also to practice what they preach. The average usage period for an item of clothing keeps shrinking, and until this changes, the efforts of the producers will merely be offsetting our insatiable hunger to buy more stuff. The only true fix for this, and many broader environmental problems, is for the tide of uber-consumerism to turn. However responsible the brand, fashion by definition needs people to demand change, freshness, newness, and more. Fixing the fashion footprint ultimately needs a genuine partnership between the consumer, the brand, and the shareholder. Victoria Leggett is the Head of Responsible Investment at Union Bancaire Privée (UBP).